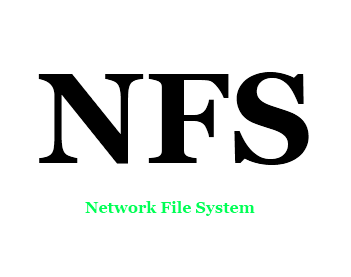 In this tutorial let us see how to install and configure NFS server and how to share files between NFS server and clients. Though i have tested these steps in Cent-OS 6.5 32 bit edition, it will work on RHEL/Fedora/ 64 bit architecture. PING rackspace-nfs01 (192.168.58.152) 56(84) bytes of data. PING rackspace-nfs02 (192.168.58.153) 56(84) bytes of data. Create Disk Partition for NFS Server. Building a new DOS disklabel with disk identifier 0x7c08daf5. Next we need to mount NFS Server exports on NFS Client. Great we can mount successfully. Now we can reboot NFS client Machine & verify next boot time nfs Share Automatically mounted. Great we have done successfully. Building a new DOS disklabel with disk identifier 0x30daeb2e. Great we can reboot NFS02 Server and Verify next Boot time the partition will be auto mounted. Next we can mount Second NFS Share on NFS Client. Great we can mount second NFS share successfully. We can Configure Auto mount second NFS Share. Next we create Backup Shell Script. TIME=`date +”%d-%m-%y(%T)”` # This Command will add date in Backup File Name. FILENAME=”backup-$TIME.tar.gz” # Here i define Backup file name format. SRCDIR=”/tmp” # Location of Important Data Directory (Source of backup). DESDIR=”/mnt/BACKUP-NFS1″ # Destination of backup file. FILENAME=”backup-NFS2-$TIME.tar.gz” # Here i define Backup file name format. DESDIR=”/newmnt/BACKUP-NFS2″ # Destination of backup file. Next we can Create CRON Job for Automatic Backup Job Running every 4 Hours leter.